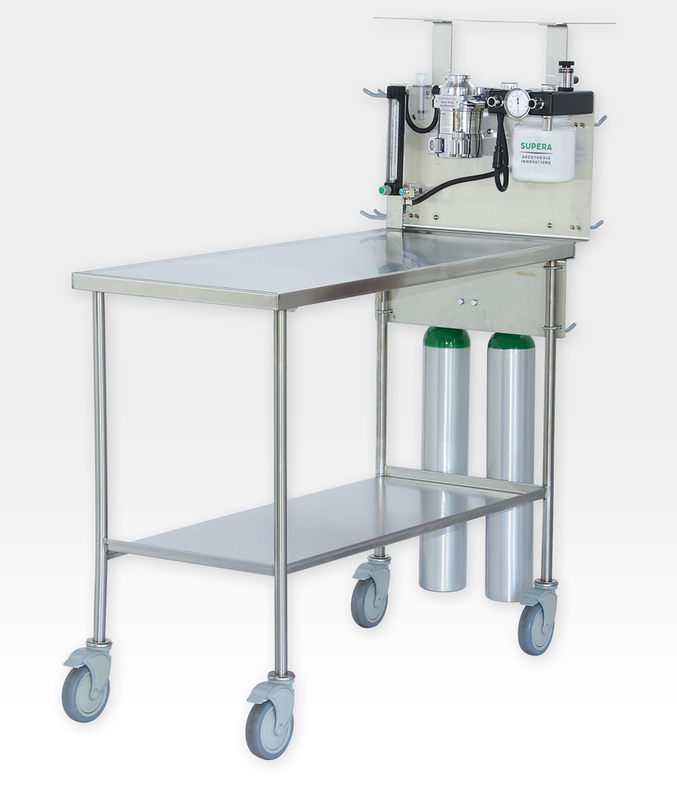 For patients that require constant anesthesia, choose the M5400 mobile cart. An extremely stable design with extra-large casters ensures easy transportation—even when crossing rough surfaces or bumps. 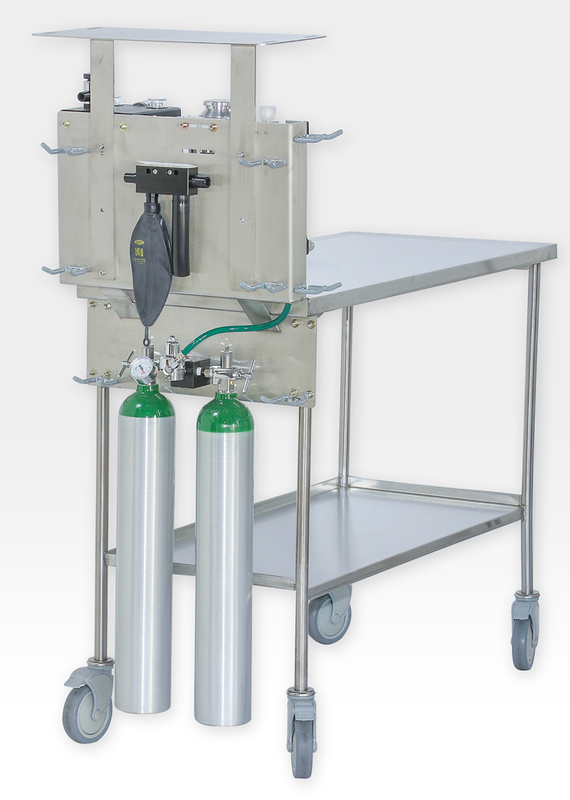 The M5400 mobile cart features rugged, 100% stainless-steel construction—from the welded tubular frame to the heavy-gauge tabletop with a raised edge for added security. •	Sturdy, stainless-steel monitor shelf holds up to 50 lbs. 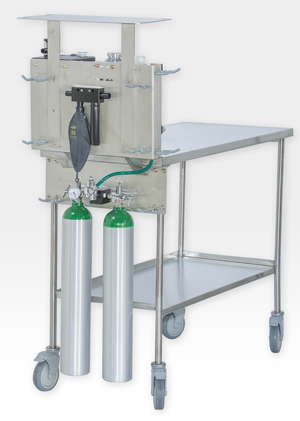 •	Available in a package including additional O2 supply, vaporizer and other accessories - Please contact Supera Anesthesia Innovations for information and a quote.